[CASE STUDY] Push vs Pull Marketing - What's Best For Your Strategy? [CASE STUDY] Push vs Pull Marketing – What Is Best For Your Strategy? Push vs pull marketing is an often discussed topic when considering a strategy. 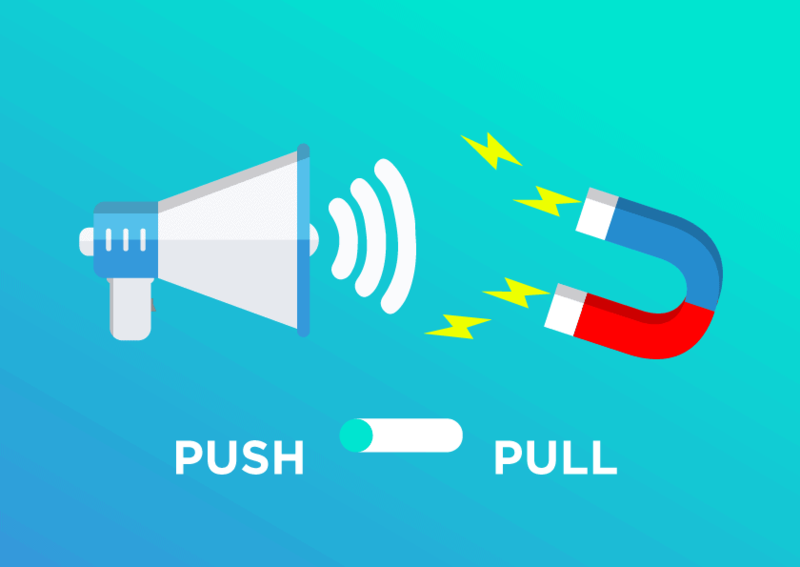 With that, we also talk about the two types of traffic – “push” and “pull.” In this Morningscore article, we explore those two terms and how implementing each of them will benefit your company. The data presented here is collected from a survey we ran about what traffic costs, and what type of traffic is the most relevant to use when planning your marketing strategy. Keep in mind, however, that this post serves as an overview – results are not black and white, and yours will probably differ from ours. Alright, you say, let’s dive right into it. But first, what’s the difference between the two? Push and pull marketing differ significantly in the way you approach your customers. Push marketing means you are trying to promote a specific product to an audience you find relevant. Pull marketing implies that you implement a strategy that will draw consumers towards your products – often creating loyal customers or followers. 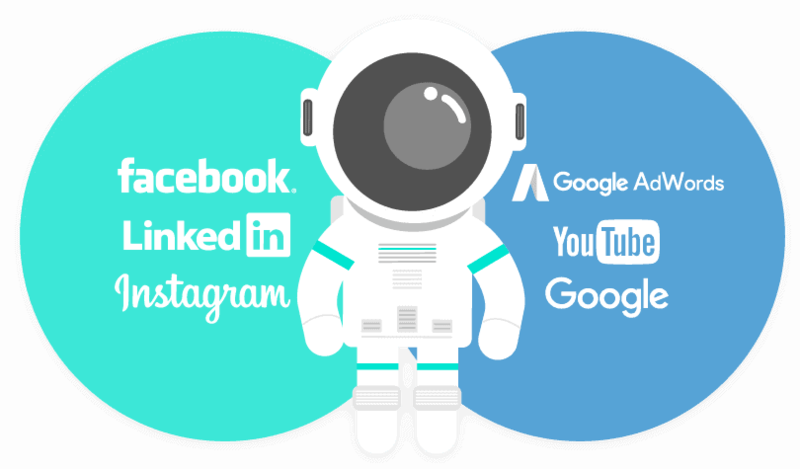 Generally, social media is considered a “push” channel, while search engines and databases like Google, Bing, Youtube, etc. fall into the “pull” category. 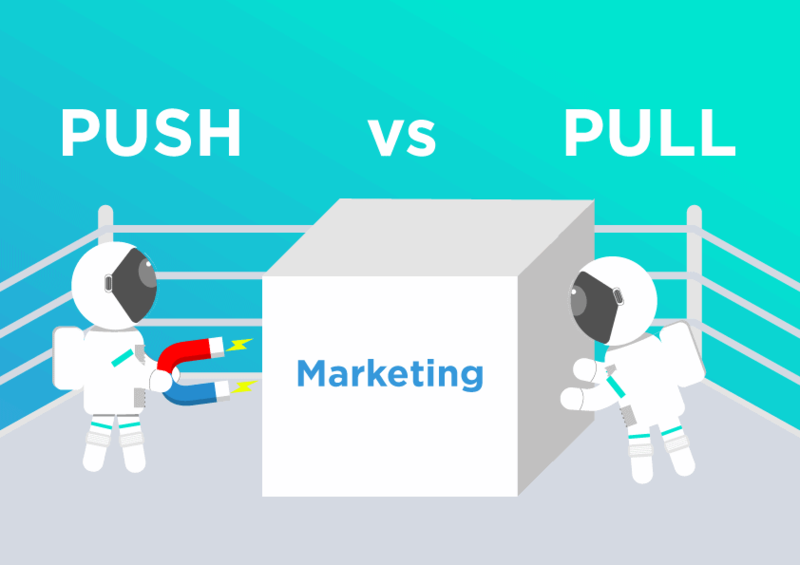 PUSH VS PULL MARKETING – WHICH SHOULD YOU USE? In both cases, it’s tough to reach your target audience without any “push” marketing efforts. To get a better idea, let’s look at John. After years of R&D, his company has just developed a new frying pan that makes you a wizard in your kitchen. But John’s ultimate problem is that no one knows about this amazing pan. This means before he gets the “Best Pan Of The Year” award, he’ll first have to raise awareness around that new product – and here’s where push channels work like a charm. So how do these two types of marketing perform as pay-per-click campaigns? 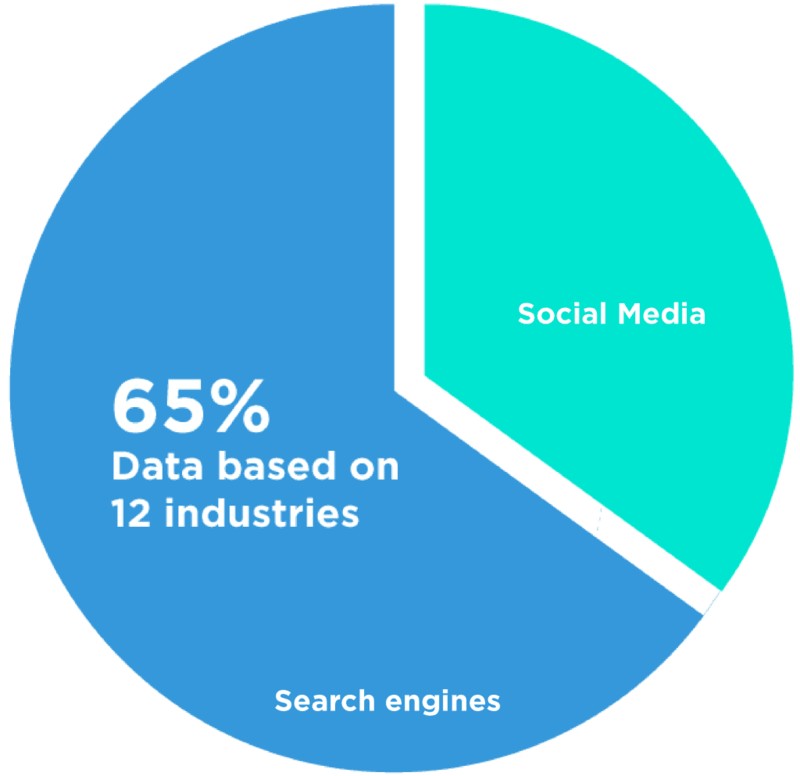 While search terms are oriented towards users who actively look for information online, social media channels like Facebook push products based on audiences’ interests. By knowing this, we can understand our target market even better. Chances are, after fulfilling his or her end goal, a user moves on (i.e., after the purchase). This means that for most purchase-oriented searches there will constantly be new people being exposed to your marketing. Most of the times, however, niche audiences are sort of fixed. Users get to see your ad several times bringing them to a state of fatigue. With this saturation, businesses are forced to push new and different offers and ads towards the same audience. And this behavior is part of what drives the price difference between the push and pull types of traffic. Push traffic is typically cheaper per click. – i.e., $0.5 per click is not rare. This allows for fast testing and adapting. Pull traffic is more expensive and especially dependent on the competition in the niche/branch (i.e., lawyers). To paint a better picture, the most expensive search keyword costs more than $25 per click! Ready to start pulling in customers? Improve your SEO with Morningscore! Now that you understand “push” and “pull” marketing let’s look at some numbers. Our study across industries shows that pull traffic converts at 68% higher than push-traffic (source). That number makes it clear why businesses are ready to pay a higher price point for “pull” and shows the importance of branding. 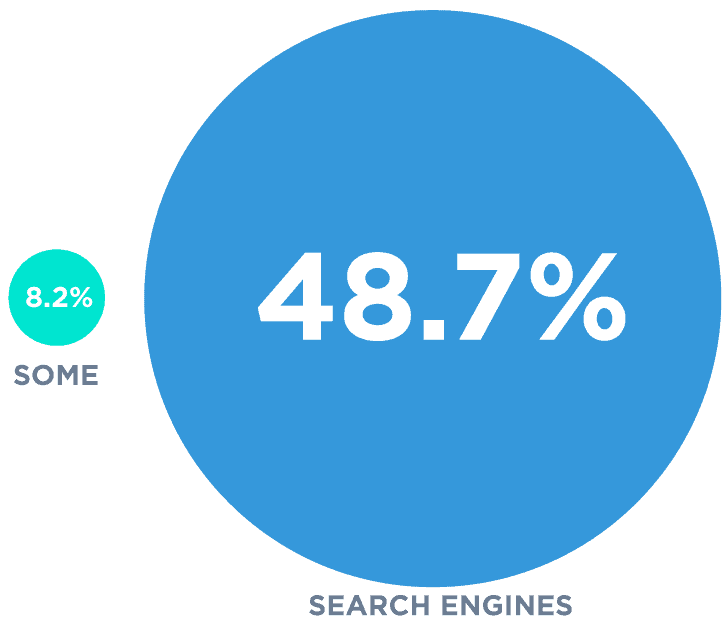 Websites got more traffic from social media (43%) compared to search engines like Google (35%) in 2015. This, however, does not apply everywhere. Moreover, we are talking about some 200,000 news outlets. 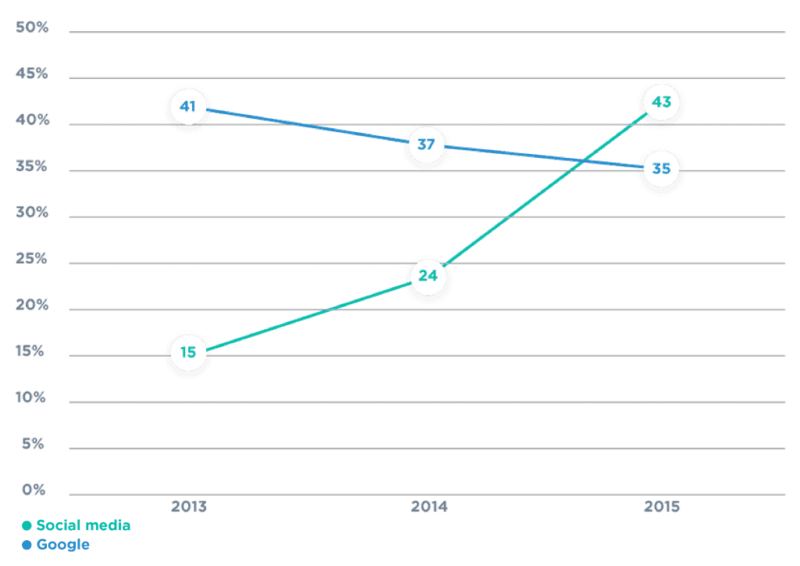 This means the trends are not necessarily the same when websites have other purposes than building buzz around news. For that reason, we decided to test the two channels for Danish companies. You can see our findings below. Facebook ads and similar “push” marketing campaigns don’t bring purchase-ready traffic directly. Push traffic is an almost infinite amount which makes it an excellent supplement to pull traffic (which in some cases can be completely sucked out with less than $200 per month). Did you learn anything? Check out this post where we answer the question we often hear, namely “How do backlinks work?”. We demystify everything around backlinks give you the power that SEO gurus have been holding for long.